John Andrew Smith, son of Arthur and Esther (Hall) Smith, was born November 14, 1946 in Colfax, Wisconsin. He departed this life Monday, November 26, 2018 in Lake Regional Hospital, at the age of seventy-two years and twelve days. John was preceded in death by his parents; his first wife, Caroline (Rudi) Smith; his second wife, Diane Smith; and two brothers, Roy and Bill Smith. He is survived by his children, Brian John Smith and wife Kimberly, of Rolla, Missouri, Johnny Smith, Bobby Smith, and Laura Porter, all of Camdenton, Missouri; his grandchildren, John Smith, Cole and Katie Smith, Shayla, Shandy, and Shawn Crall-Smith, Dillon Smith and Cole Porter; two great-grandchildren, Payton and Berkleigh; his siblings, Harley Smith, Ann (Smith) Jorgenson, Olive (Smith) Schutts, and Mary Smith; as well as a host of other relatives and many friends. John spent his younger years living in Wisconsin. He spent his life learning the automobile trade. He worked for Cadillac in Rockford, Illinois and later he spent some years in Mountain View, Arkansas working at a GM dealership. He decided that he wanted to become self-employed at his own shop, so he opened Smith Valley Garage. In the 1980's John and his young family moved to Camdenton, Missouri and made this their home. John opened and ran Smith Garage, until his retirement. He was well known throughout the area for his skills and expertise as a mechanic. In his spare time, he was an avid hunter. Just a few weeks ago John and his son Brian had spent time doing what he enjoyed the most, which was time in the woods. John was quite the gun enthusiast. He loved stock car racing in his younger years. He raced at I-44 speedway where he won the sportsman championship the first year it was open. He also raced at Lake of the Ozark Speedway. Along with watching westerns, and NASCAR, John loved to talk and visit with family & friends. He loved and spoiled his kitty, Chris. Memorial services will be held at 2:00 pm Sunday, December 2, 2018 in the Allee-Holman-Howe Funeral Home, Camdenton, Missouri. 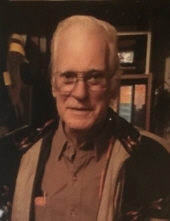 Memorial donations may be made to the funeral home and can be mailed to Allee-Holman-Howe Funeral Home at 15 Clint Avenue, Camdenton, Missouri 65020. To send flowers or a remembrance gift to the family of John A. Smith, please visit our Tribute Store. "Email Address" would like to share the life celebration of John A. Smith. Click on the "link" to go to share a favorite memory or leave a condolence message for the family.